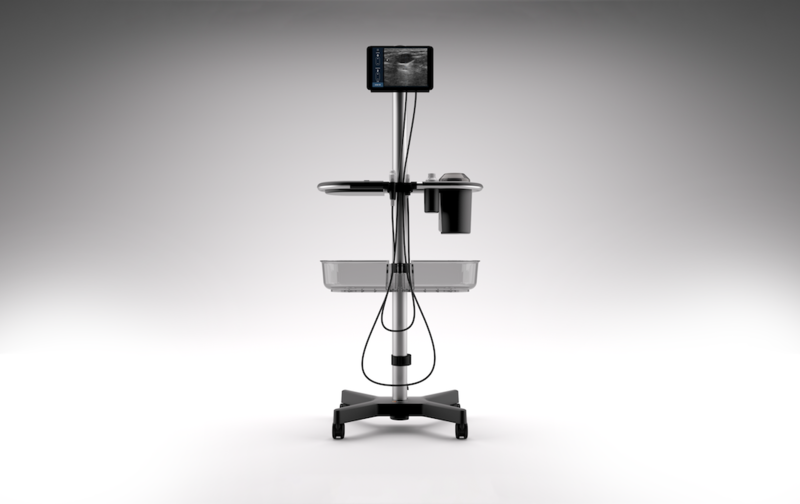 SEATTLE, Wash. (August 7, 2018) - EchoNous, an innovator focused on delivering intelligent medical tools, announces the release of the AI Station™, a new docking system especially designed for emerging nursing tools, aimed at raising convenience for nurses and lowering costs for health systems. With the goal of reinventing what has historically been an afterthought medical device element, EchoNous commissioned an iconic industrial designer, Nike’s former Global Footwear Creative Director and Product Innovation Director Dave Schenone and listened carefully to clinicians and biomedical leaders at one of the nation’s top health systems. 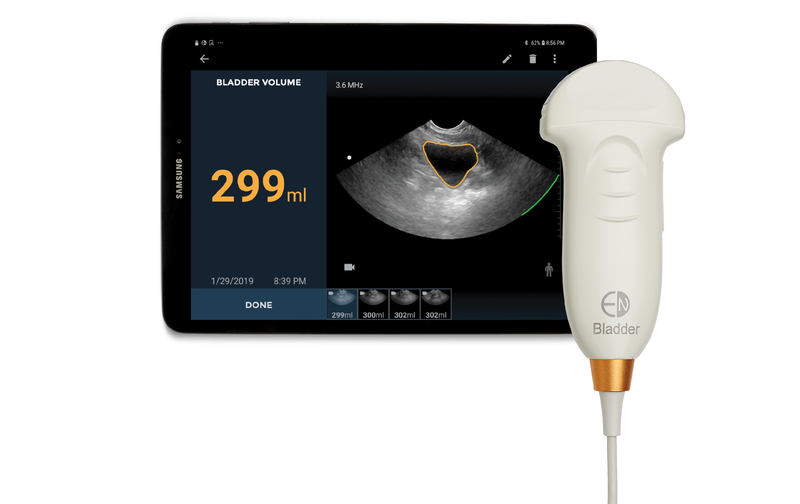 The AI station is a uniquely expandable platform that integrates EchoNous' current intelligent tools, the Uscan bladder scanner and recently released EchoNous Vein, as well as devices currently in development. Together this family of tools will powerfully utilize emerging artificial intelligence methods along with the company’s extremely miniaturized ultrasound platform to conquer everyday problems in healthcare. Designed from the ground-up, EchoNous reimagined every component of the nursing dock, based on first-hand direct input from nurses and biomedical engineers in the creation of this new AI Station. Key design elements include a more narrow lateral design for better maneuvering in tight spaces, a lower base height to fit underneath a hospital bed - enabling the entire cart to be closer to the patient, probe cords docked in an “inner channel” to prevent snagging and tripping, and importantly the use of the best materials available today in consideration of aggressive infection control techniques used in hospitals today. EchoNous chose AI Station materials with the goal of optimizing durability and cleanability while maintaining a low weight for ease of maneuvering. Featured materials include chemically-resistant anodized aluminum, Tritan plastic, specifically designed for durability and offering a much higher level of chemical resistance than previous generation polymers, and stainless steel which is widely recognized for its high resistance to chemicals. Seeking to bring a sense of art to the otherwise mundane approach to device design, EchoNous commissioned Dave Schenone to apply his “Attract, Engage, and Capture” framework of innovating new products. 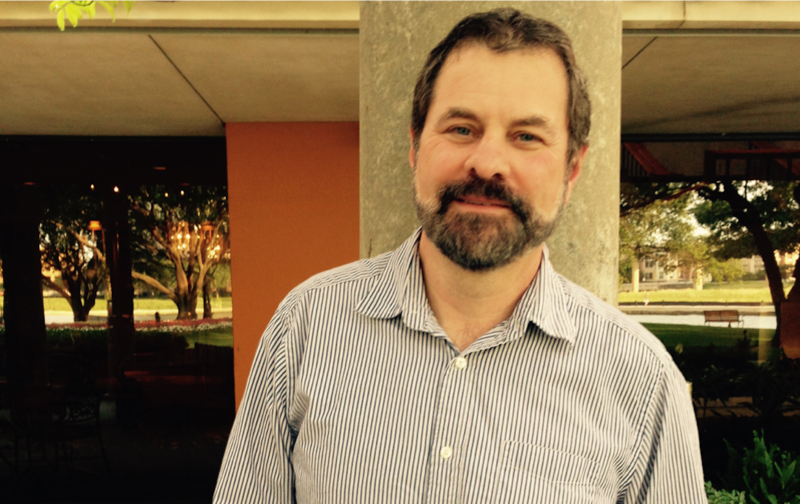 Schenone began his distinguished design career imagining the future of home computing at the Xerox Advanced Research Center, the Atari Corporation and Hewlett Packard in Silicon Valley during the 1980s. He later held the most senior design director position at Nike for more than two decades, overseeing the build out of the Nike Innovation Process and leading the company’s creative approach to multiple Olympic games. Healthcare systems interested in an in-person demonstration of EchoNous AI Station, EchoNous Vein or Uscan should contact sales@echonous.com, and visit www.echonous.com for further product specifications, images and videos. Headquartered in Seattle, Washington, EchoNous, a KKR portfolio company and parent company of Signostics, is developing an expanding family of intelligent medical tools to help healthcare professionals solve common everyday problems in healthcare. 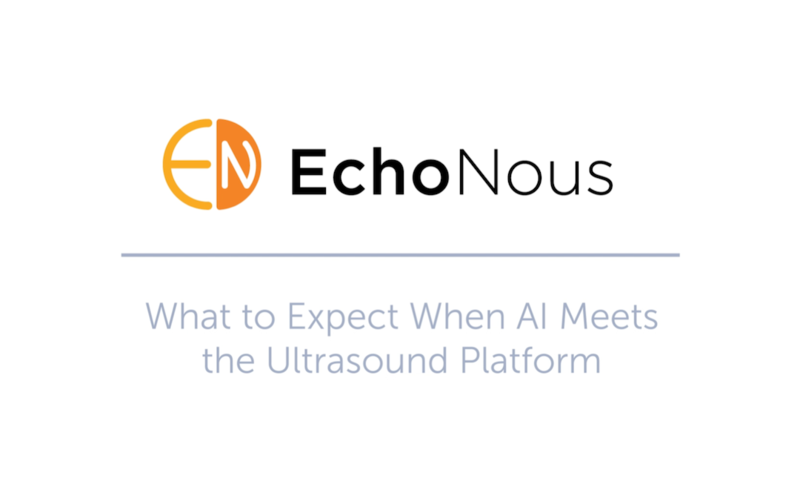 Beginning with the EchoNous Vein vascular access tool and the Uscan intelligent bladder scanner, EchoNous is applying a layer of artificial intelligence to extreme miniaturized ultrasound to provide nurses, doctors and clinicians with high-quality, easy-to-use tools simplifying the task at hand. CEO and industry innovator Kevin Goodwin and EVP, COO & CIO Niko Pagoulatos, PhD, a prolific engineering leader, together direct the company based on decades of successful experience and new category creation in the ultrasound industry. For more information, visit www.echonous.com.